A light database on the World Bank aid projects in Vietnam. The data is obtained from D-Portal, United Nation Development Groups Transparency Portal (2018). 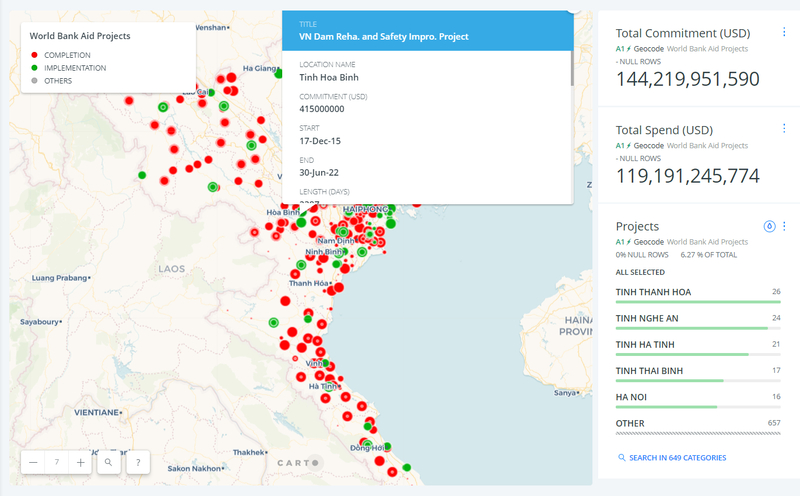 This WebGIS is made by P-GIS, attibuted to CartoDB.